The WordPress Theme Customization API indicates that there are a number of existing pre-built customizer sections available for the theme developer. That's the entire theme. There is no functions.php file. Anybody been here before? Many thx. Here's my exact situation. I do lots of websites, often using a child theme to modify an existing theme that gets me sorta close. I'm looking for a very simple, non-bloated bootstrap theme. I found devdmbootstrap3 which I'm pretty impressed with. The only problem is that theme generates a bunch of customization selections that we don't want to display (colors, header image, background image). I can't figure out what populates those elements. There is no add_section() calls in the functions.php file. I've been thru that file (and the entire theme, including theme-options.php) pretty carefully. Again, I think my issue is not understanding the words "refer to them by name". I just don't see where those items are called. Hmm.. as I think about this, I can certainly install wordpress core and that template inside a localhost server, then step thru the code debugger style to find what call actually creates those elements. Ugh. Any other ideas? Again, thx. 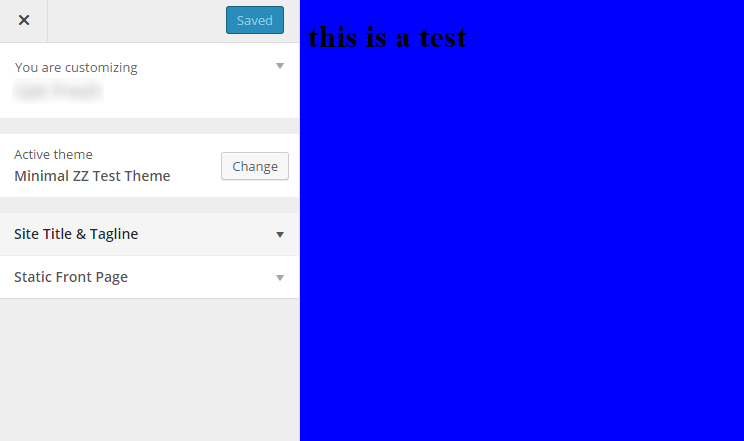 The default controls are registered in WP_Customize_Manager::register_controls(), which is hooked to customize_register. This action is fired in another method, wp_loaded(), which is hooked to the action of the same name. Theme Customizer - Nested Sections? Get all registered wp theme customizer sections?